1 Viruses Dead or alive? 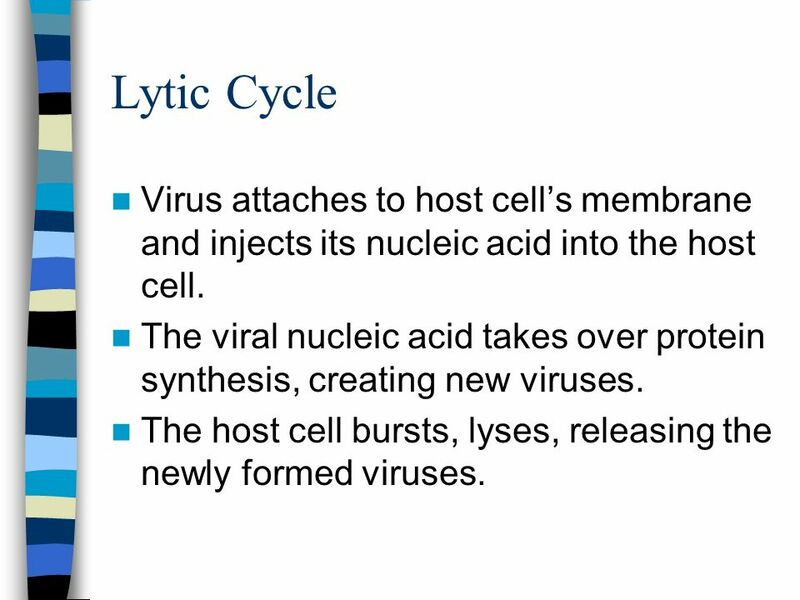 5 Lytic Cycle Virus attaches to host cell’s membrane and injects its nucleic acid into the host cell. 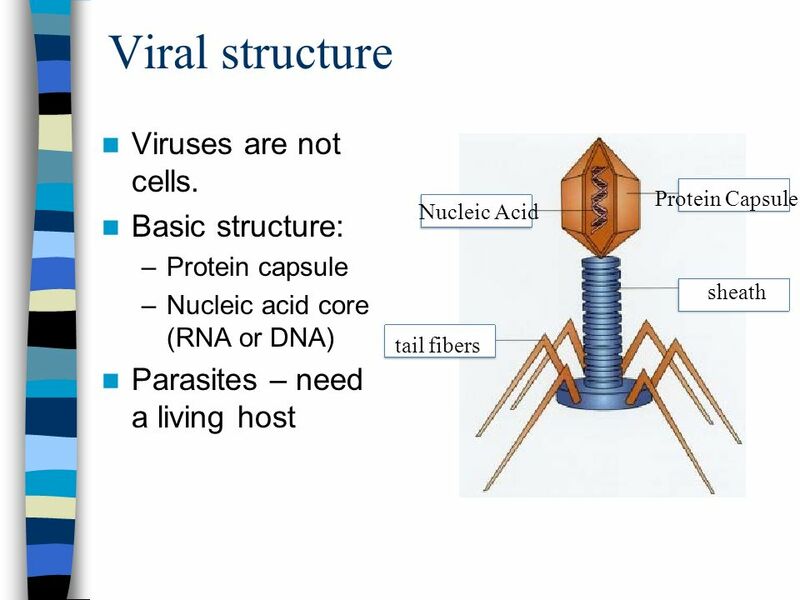 The viral nucleic acid takes over protein synthesis, creating new viruses. The host cell bursts, lyses, releasing the newly formed viruses. 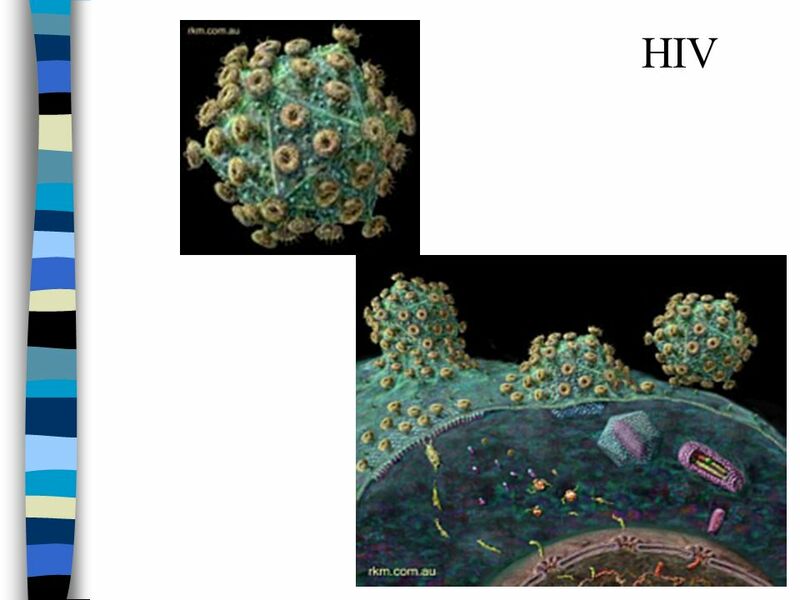 8 HIV doesn’t target just any cell, it goes right for the cells that want to kill it. 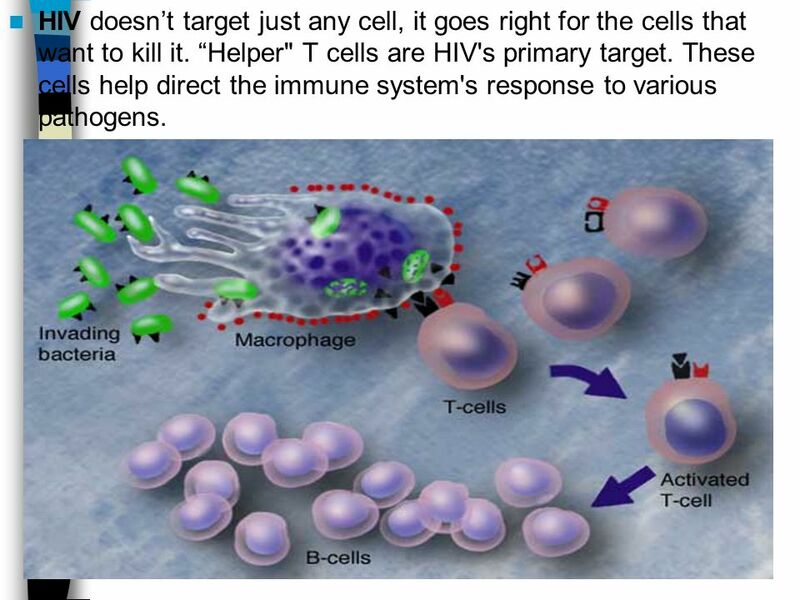 “Helper" T cells are HIV's primary target. These cells help direct the immune system's response to various pathogens. 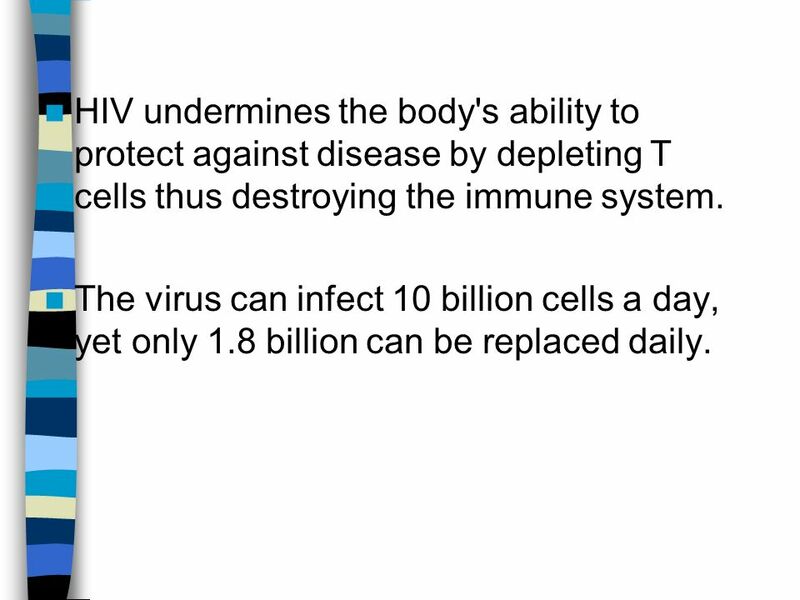 9 HIV undermines the body's ability to protect against disease by depleting T cells thus destroying the immune system. The virus can infect 10 billion cells a day, yet only 1.8 billion can be replaced daily. 10 After many years of a constant battle, the body has insufficient numbers of T-Cells to mount an immune response against infections. At the point when the body is unable to fight off infections, a person is said to have the disease AIDS. It is not the virus or the disease that ultimately kills a person; it is the inability to fight off something as minor as the common cold. 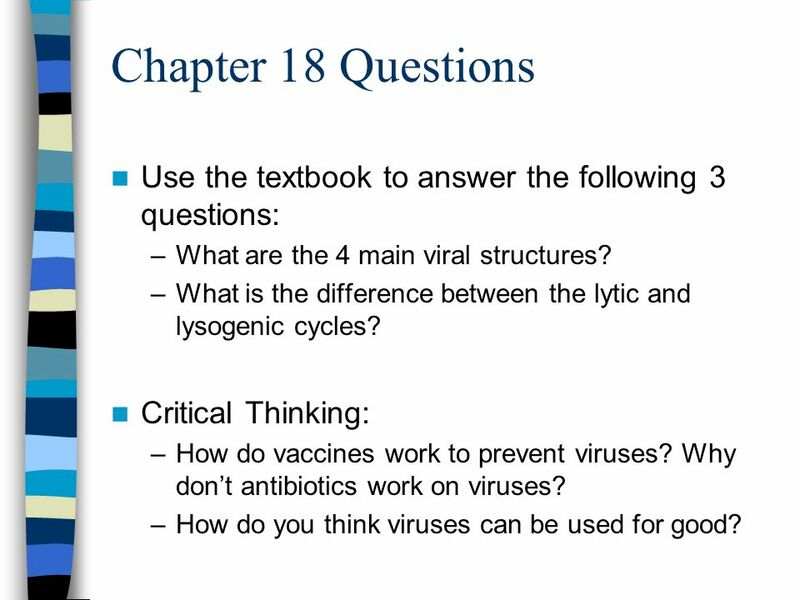 11 Chapter 18 Questions Use the textbook to answer the following 3 questions: What are the 4 main viral structures? 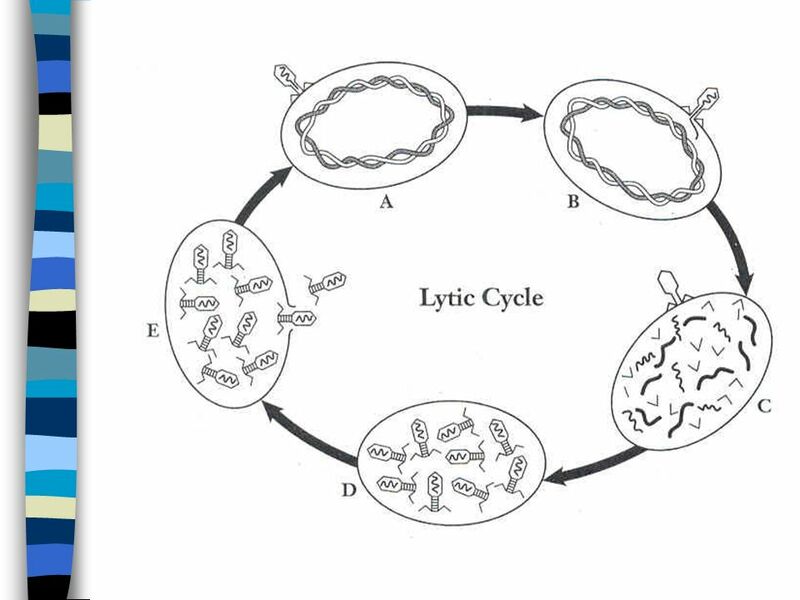 What is the difference between the lytic and lysogenic cycles? Critical Thinking: How do vaccines work to prevent viruses? Why don’t antibiotics work on viruses? How do you think viruses can be used for good? 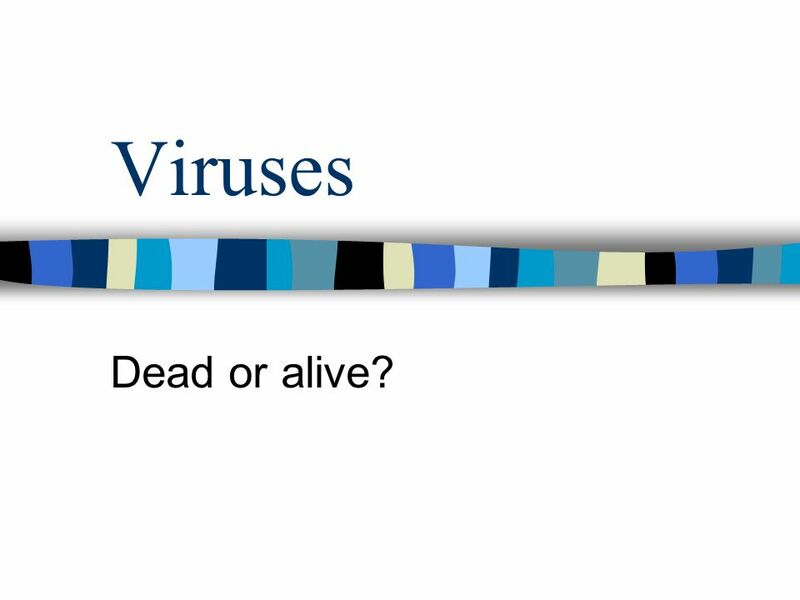 Download ppt "Viruses Dead or alive?." KEY CONCEPT Infections can be caused in several ways. Chapter 19 – Bacteria and Viruses B $100 $200 $300 $400 $500 $100$100$100 $200 $300 $400 $500 Topic 1Topic 2Topic 3Topic 4 Topic 5 FINAL ROUND. Virus Reproduction Overview Cycles for reproduction Lytic Lysogenic Retrovirus HIV Diseases caused by viruses Prevention. MICROBIOLOGY A branch of biology that studies microorganisms and their effect on humans. CHAPTER 19 BACTERIA AND VIRUSES. Herpes VIRUSES. 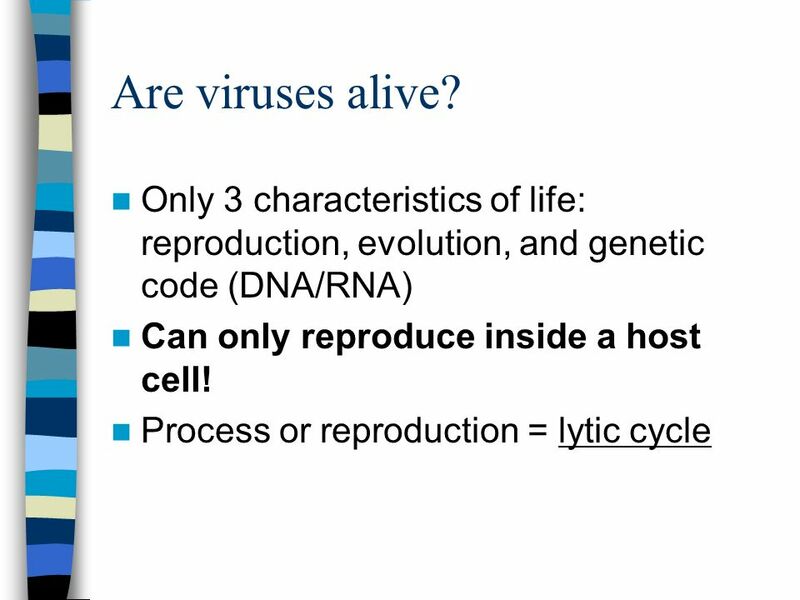 Viruses – are particles that are NOT ALIVE. 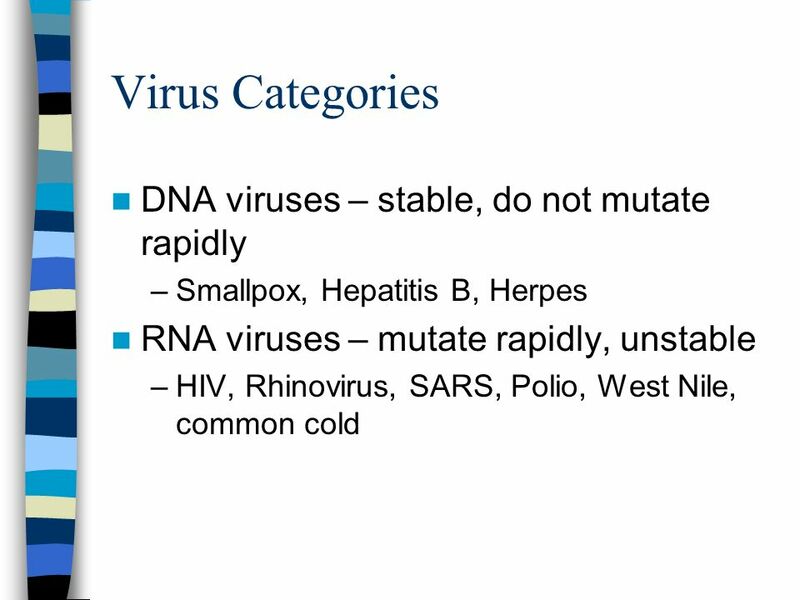 Structure of Viruses All viruses are composed of: – Nucleic acids: Virus’s genetic material DNA or RNA Code solely for reproduction – Capsid: Protein coat. 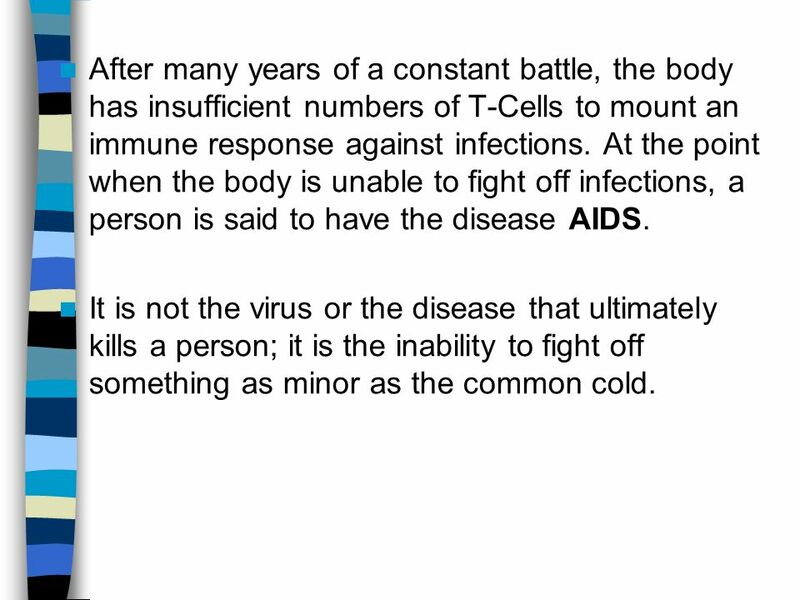 Lesson 3 Reading Guide Lesson 7-3 What are Viruses? Bacteria and Viruses. Bacteria are prokaryotes Pro – before Karyon – nucleus The simplest forms of life Earth’s first cells. Viruses Non-living - does not grow, eat, release waste, or breathe. Is able to reproduce, but only when inside a host (the cell that a virus enters) 100. Viruses Chapter 18.2 Pages How were Viruses Discovered? Late 1800’s - bacteria known to causes disease Scientists found tobacco plants were.